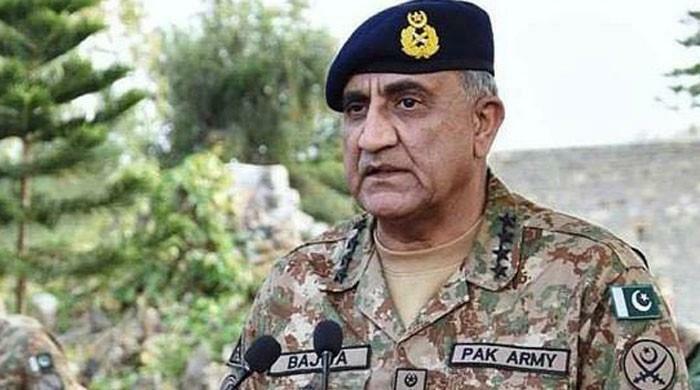 RAWALPINDI: Chief of Army Staff (COAS) General Qamar Javed Bajwa has pledged the military’s “full support” for the development of Balochistan, the military’s media wing said on Sunday. According to a statement issued by the Inter-Services Public Relations (ISPR), Gen Bajwa visited Gwadar and Turbat on the second day of Eidul Azha and met with soldiers and officers. Talking to the troops, Gen Bajwa said the development of Balochistan was “extremely important” for the progress of Pakistan. All ongoing development projects in the province shall be completed, the army chief was quoted as saying. The ISPR further said that Gen Bajwa promised that army will “extend support to all state institutions in this regard”. The army chief also visited the family of Major Jamal Sheran, who was martyred in a suicide blast in Hayatabad on July 17. On Saturday, the first day of Eid, Gen Bajwa had visited Rajgal valley, where the army has recently completed the Khyber Four operation. Addressing the troops there, the army chief had said that there was no greater service than protecting the country on an occasion like Eid.